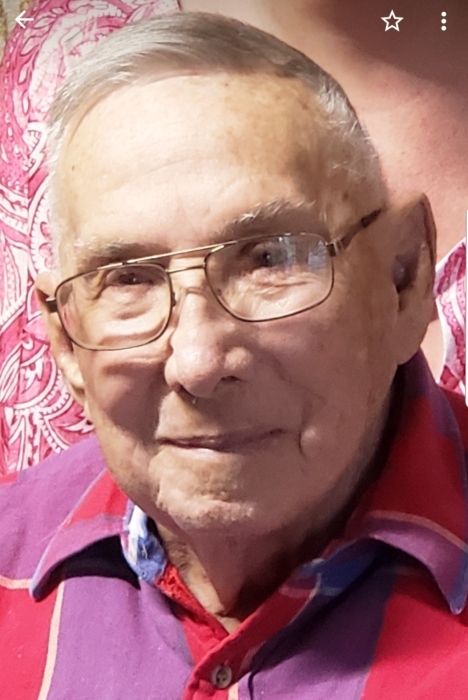 Carl E. Young, Sr., 90, of Elkhart, passed away on Saturday Dec. 1, 2018 at his home. He was born on May 24, 1928 in Kosciusko County, IN to Walter and Minnie J. Young. He married Marie Nierman on July 13, 1974. Mr. Young is survived by his wife, Marie, of Elkhart; his children: Denise (Tom) Wilson of Avon; Anne (George) Brinzea of Granger; Rick (Paula) Young of Warsaw; Carl Young, Jr. of South Bend; Tim Young of Elkhart; and Karen (Bill) Dahmen of Edwardsburg. Also surviving are 16 grandchildren: Kim, Jodi, Troy, Danielle, John, Carl III, Marcee, Brigitte, Sean, Brittany, George, Allison, Jeff, Chris, Trisha, and Billy and 14 great-grandchildren. He retired from NIPSCO in 1984 after 36 years as a Crew Supervisor. He was a member of Hillcrest United Methodist Church. Friends may visit with the family at Stemm-Lawson-Peterson Funeral Home on Wednesday Dec. 5 from 3-7 PM, and for one hour prior to the Funeral Service on Thursday at 11 AM at Hillcrest United Methodist Church. Pastor Kerry Clear will officiate. Entombment will follow at Rice Cemetery. Memorial contributions may be given to the church or to Heart to Heart Hospice. Online condolences may be sent to www.stemmlawsonpeterson.com.